Community Groups provide opportunities for you and others like you to know God better in small group community. We are your friends and neighbors sharing Christ’s love, providing encouragement, accountability, friendship, and prayer. Experience life together in Groups. Wherever you live–Wells Branch, Cedar Park, North Austin, Windermere, Blackhawk, Pflugerville, Round Rock, Hutto and beyond. Northeast Community Church has a community just for you. Join us! Not all Groups offer childcare, but there are options available. If childcare is required please discuss the need with a group leader or contact us at info@necommunity.church so we can attempt to connect you with a group that has childcare. Some groups will have participants share responsibility in watching the children, split the cost for a sitter, or make other arrangements. Groups meet on various days and times throughout the week. Each group is different and may choose to meet every week, bi-weekly, or once a month. Groups gather in different locations across the city. 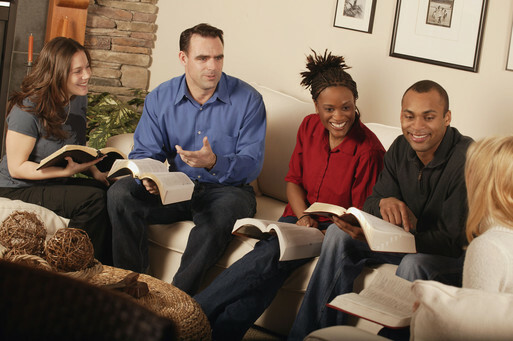 A group can meet in homes, restaurants, coffee shops, community centers or in our church meeting spaces. We will help you find a group that meets your needs near you. Groups will study a wide range of topics during their time together. The best way to find what groups are currently studying is here.